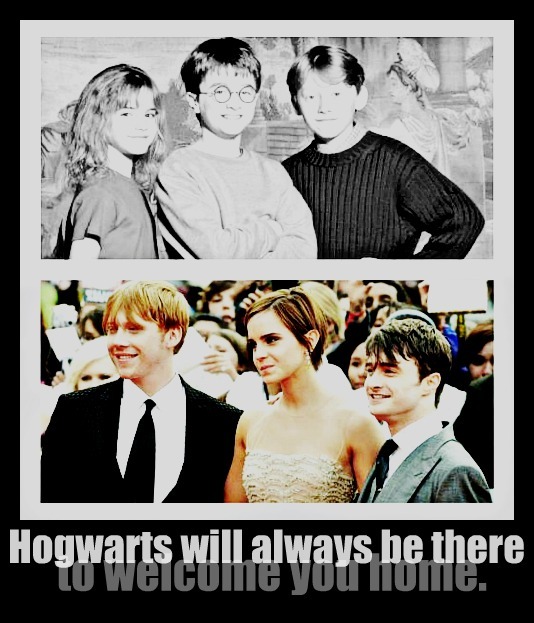 "...Hogwarts will always be there to welcome Ты home.”. . Wallpaper and background images in the Leyton Family<3 club tagged: harry potter golden trio. This Leyton Family<3 fan art might contain деловой костюм, портрет, выстрел в голову, близком расстоянии, макро, and крупным планом.